When it comes to eyewear, it’s not just about the frames—lenses ought to get just as much attention! 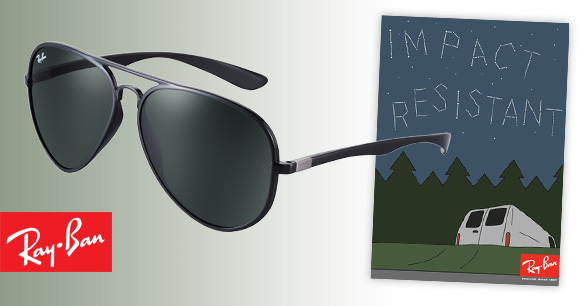 With its super cool “Envision” campaign, Ray-Ban seeks to give ‘em the hoorah they deserve, by (literally) illustrating the power of its lenses. 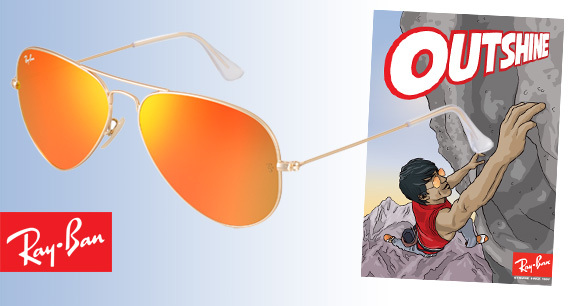 To bring its vision to life, the renowned brand appointed four fantastic artists—Ben Hasler, Ellen Lindner, Eoin Coveney and Robert Sergel—to craft a series of exclusive comic books that take readers on a journey behind the different facets of each lens, all while highlighting its hottest new styles! Whether they’re highly resistant, anti-glare, long lasting, impactful, built to move or have the power to outshine, every lens is worth checking out! Get more deets below, or hit up the campaign’s website for full versions of the comics! Highly Resistant: Staying true to yourself is easy when you’ve got these sleek ‘n’ streamlined rectangular specs in tow! 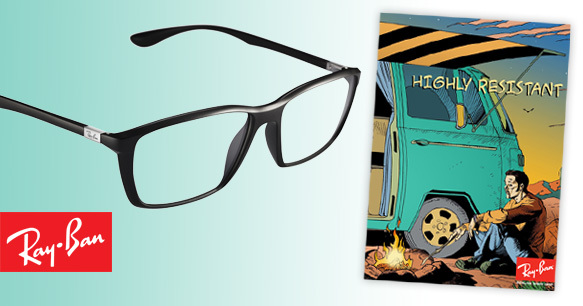 Anti-Glare: Nobody digs unwanted glare, especially when it’s beating down on your precious peepers! 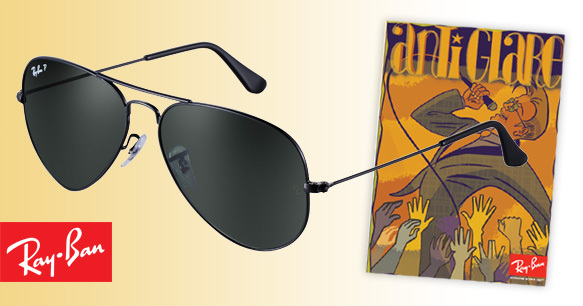 Eliminate the bright light with these chic jet black aviators with anti-glare lenses, of course! 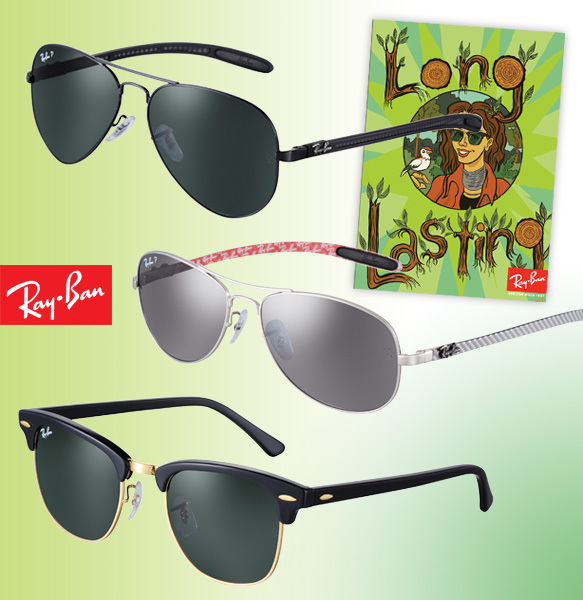 Long Lasting: These shades are sure to withstand the test of time, with their long-lasting lenses, and classic aviator and Clubmaster-inspired silhouettes that’ll stay trendy for many years to come! Impact Resistant: A modern spin on the traditional aviator, these sturdy sunnies are guaranteed to resist whatever impact comes their way! 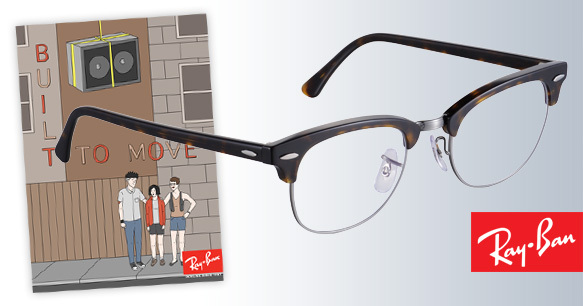 Built to Move: You can go anywhere at any time in these traditional tortoise Clubmaster-inspired glasses! After all, they’re built to move with you through all your adventurous pursuits! Outshine: Shine on in these lightened gold metallic aviators with look-at-me orange mirrored lenses!